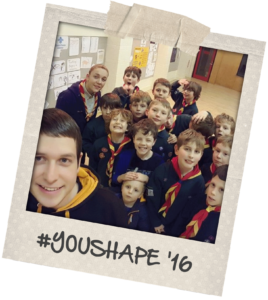 Cub Scouts are young people usually aged between 8 years and 10½ years old, and are the second section in the Scouting family. 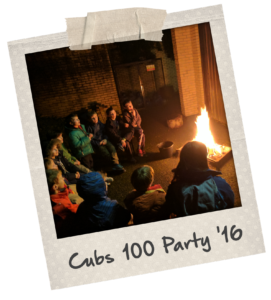 Young people can join Cubs in the three months leading up to their eighth birthday and can then move to the next section – Scouts between ten and ten and a half years old. Cubs get a chance to try loads of different activities such as swimming, music, exploring, computing and collecting, and can earn awards based on taking part in activities at Cubs and elsewhere. 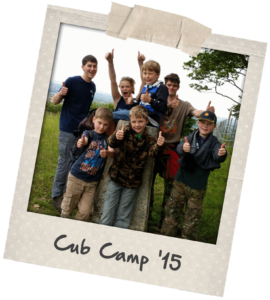 In addition, Cubs frequently go on trips and days out, which recently have included theme parks, activity centres and safari parks, and also enjoy camping with their friends. This will mean sleeping in a tent and taking part in loads of outdoor activities including lighting fires, cooking and basic campcraft. To find out more and for information about how you could get involved, get in touch here.